Dr. Winterowd, his wife, and two daughters live on a small hobby farm with a dozen black angus cattle, a handful of barn cats, and an old llama named Brownie. Dr. Winterowd is rarely seen at work without one of his dogs close by. He enjoys racquetball, construction and driving his old dump truck in his spare time. Dr. Johnson's special interests are internal medicine and soft tissue surgery. 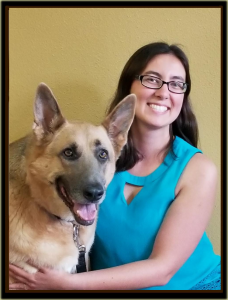 A certified veterinary chiropractitioner, she uses spinal adjustment as a complimentary modality in the treatment of neck and back problems. She is a member of the AVMA, IVMA and LCVMA. Dr. Johnson graduated from Cedar Rapids Prairie High School in 1980. She and her husband, Michael, live in Cedar Rapids and share their home with their dogs, Astro and Madison.. She enjoys outdoor activities, especially running, biking and fishing. Dr. Erin Garman received her DVM in 1992 from Iowa State University and came to Linn Animal Hospital in 1998 after practicing in Des Moines for four years and in Madison for two years. She became a partner in Linn Animal Hospital in 1999 when Dr. Vic Klopfenstein retired. Dr. Garman has a special interest in ultrasound and has been performing cardiac and abdominal ultrasound since 2000. She also enjoys internal medicine and soft tissue surgery, along with her ferret patients and their unique challenges. She is a member of the AVMA, IVMA and LCVMA, in addition to being a member of the Ethics Committee for the IVMA. Dr. Garman is a 1985 graduate from Cedar Rapids Kennedy high school. Her family life is spent on an acreage with her husband, Bob, and their three children. Jazz, a standard poodle, and their cat, Sun, round out the family. She enjoys the beach and water sports, and entertaining with her family and friends.